Home / Archive by category "Special Education and Music"
Rewind twelve hours. I was sitting in the auditorium at Holyoke Community College, surrounded by proud parents at the spring concert of the Berkshire Hills Music Academy. I’ve written about the school and their performances before. I have described these young adults whose disabilities affect their movements, speech and social interactions and who will likely need some degree of assistance throughout their lives. I was excited to see my former students and their families. Yet as the concert got underway, I felt unease. These young adults were not behind the safe doors of a classroom. Their disabilities were right up on stage with them. Some musicians stared at the floor through their songs, never looking up. What were they thinking about? A few talked too loudly as they set up, or they stared at the audience. Some musicians wore headphones because the noise of the event was overwhelming. I worried that some students with affected gaits would trip on the microphone cords. They all seemed so vulnerable. Suddenly the arts seemed dangerous, so very public. After about three songs, I started noticing familiar magical moments, like the singer who was absolutely on beat and on pitch, no matter what else was going on. Or another, looking too cool in sunglasses, who performed a familiar song with a brilliant twist – “Hit me with your best shot,” in bone dry delivery. There was the student who started in a range too low for him, then as the pitches rose, his tenor voice opened and expression poured out. Like all concerts this was a moment when the critic in me stopped and just lived the music. Also, like all concerts, there were pieces that lacked magic. That’s okay. Completely normal. The performers were still giving it everything they had. Maybe they spoke to someone else. Every audience member brings something unique to the event, like each performer. When students weren’t performing, they sat in the audience along the right wall. The second half opened with a small group singing, “If you’re goin’ through hell.” The right side of the auditorium exploded in motion. Students head banged, snickered at the word “hell,” and screamed their appreciation as the rest of us adults applauded. A few songs later, “Dance to the music” seemed like a religious revival as the students in the audience jumped up and down, waving their heads and arms, while the singer leaped around the stage and the drummer tossed his sticks in the air. The magic of the concert wasn’t the parents who were recording it on tablets and phones. It was students sharing this moment with each other. BHMA students are around music all the time – playing it and listening to it with each other. In lessons, classes, and weekly Friday concerts, music is how they shout and cry about themselves and the world. BHMA is housed in a single manor. Students literally live, learn, and perform under one roof. Their rock-star cheers at this concert for each other were the result of months of deep musical expressions and connections. When I was in ninth grade my grandparents visited Interlochen and accompanied me to my classes. They were amazed at how supportive we were as we critiqued each other’s poetry. (Our teacher was the poet and author Jack Driscoll.) Four years later, my parents were struck how each graduating senior was cheered loudly by all classmates as her/his name was read. All 200 of us had shared an experience that made each student worthy of such joyful noise. But the muses flew around that auditorium in Western Mass yesterday, conjured by musicians who appear to be so different from other musicians in my life. Those muses laugh, playing tricks on me in my dreams, because they know that we humans are all so very very much alike. Last fall, I wrote about two programs that combine music and special education. One of the programs was a the Boston Conservatory, now Boston Conservatory at Berklee. On March 1, 2017, the Boston Conservatory at Berklee website announced, “Berklee to Launch the Institute for Arts Education and Special Needs This Fall.” How exciting! The Institute will “provide opportunities for individuals with special needs to learn about, experience, and create in the arts” and will build on the Autism Program that was started at Boston Conservatory by Rhoda Bernard. This is great news for the arts AND special education! If you are interested in learning more, check out the Boston Conservatory’s conference in April 28-29, 2017. See you there! Music and high achievement – is there a link? Remember the Mozart Effect? We were going to become smarter by listening to Mozart? (Thank goodness I’m a violinist!) The theory was all the rage in the ’90’s. Ever wonder what happened to it? Dr. E. Glenn Schellenberg has researched this and other music / psychology questions at his Music and Cognition Lab at the University of Toronto. So listening to any music that we enjoy can increase our mood, and therefore can sometimes increase our performance. However, he also found that if the music is too loud or has lyrics, our performance can go down if we are listening to the music while we do a brain-intensive activity. So if you are a parent, should you invest in music lessons for your child? Yes, if you love music and yes, if your child seems to enjoy it. There appear to be many benefits, both musical and non-musical. However, music likely will not dramatically change your child’s academic life. Recently, I have had the honor to visit two music programs for students with special needs. One is the Berkshire Hills Music Academy (BHMA) and the other is the program for students on the autism spectrum at Boston Conservatory. Each school attracts students who love music and who benefit from a somewhat specialized environment for their disabilities. 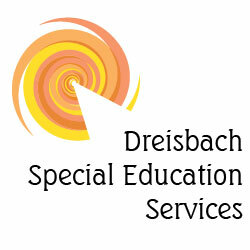 a number of educational programs and opportunities for individuals of all ages with autism spectrum disorders. These programs, which range from private music lessons to Autism-Friendly Performances of the school’s mainstage productions, are designed to provide a safe, welcoming environment in which participants can nurture a life-long involvement in the arts—as creators or audience members. a post-secondary transition program as well as a long-term graduate program for young adults with intellectual disabilities…BHMA offers a music-infused, college-like experience via the Two Year Certificate Program for young adults between the ages of 18-30…Many of our graduates choose to remain within our community as members of the LIVE (Long-term Independent Vocational Experience) program. We also offer a Summer Program for ages 16-25. All of our programming is complemented by daily music offerings that engage and motivate our students. Each program is fairly new. BHMA’s first students arrived in 2001. Boston Conservatory offered private lessons to students on the autism spectrum in 2007. To visit these programs is to witness idiosynchratic introverted students choosing to participate in groups. This is quite a feat for some kids with disabilities. A young child plays repetitively with a window shade, then notices and joins a circle of children singing a fun nonsense song. A young adult utters one-word answers in conversation, then strides onstage to belt out a classic popular tune with his band. Like centuries of performers, these unique kids have glints of stardom in their eyes. Also, like all musicians, they bring their shortcomings to the studio, along with their strengths. The young child might boom a note too loudly for the small group. She might use vibrato like an opera singer, just to hear and feel the sound. The young man might not quite make eye contact with his duet partner as they coo a love song together. It is clear that these students love music. Their teachers want more, though. Kids in chorus are taught note syllables do-re-mi to help them sing on pitch and to understand the structure of their songs. Instrumentalists are expected to play scales, arpeggios, and to practice each technique hundreds of times – like all musicians. They get the full package – individual expression, group performance, creativity and disciplined practice. And some could come to you, because the BHMA Performance Troupe tours! See this recent article and video in Wicked Local Needham about the BHMA visit to a school in Needham, MA. These music programs challenge students with disabilities while celebrating their unique and shared characteristics. We are all fortunate to have schools like these.